"Dacic Sign" Monument - the monument is on the "hula Turdas", as locals call the hill in question. 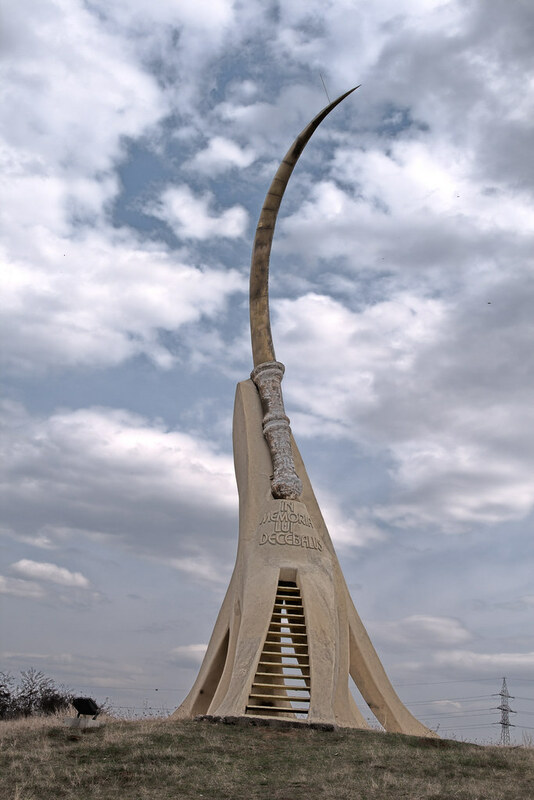 Called "Dacian sign", the monument was modeled after a laborious documentation. 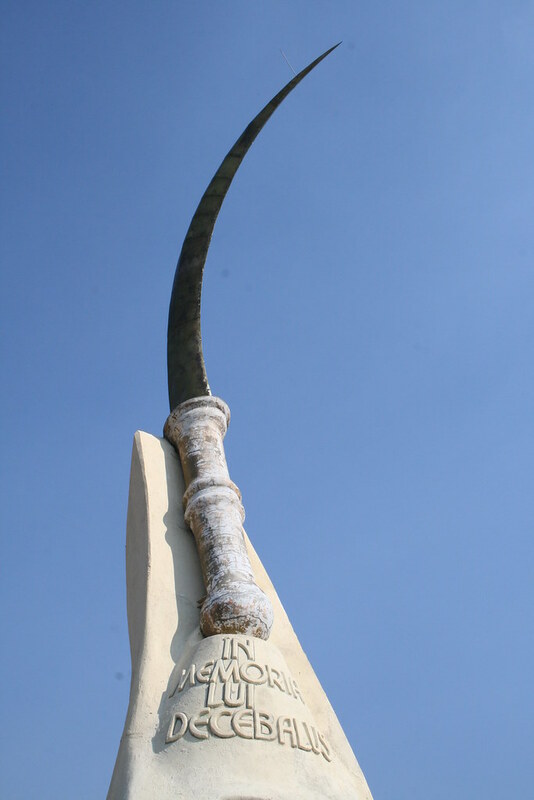 The monument represents a Dacian falx. 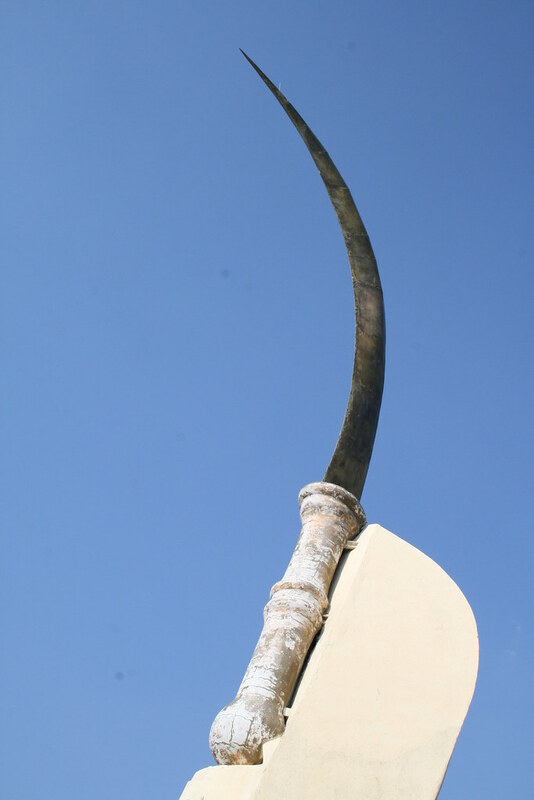 This was the most effective weapon of the Dacians, the one that determined the Romans, after the war of 101-102, to change their helmets and shields, which weren’t strong enough because the edge located on the inside curve of the weapon, its hitpower and the sickle effect given by the weapon's conformation were a destructive combination. 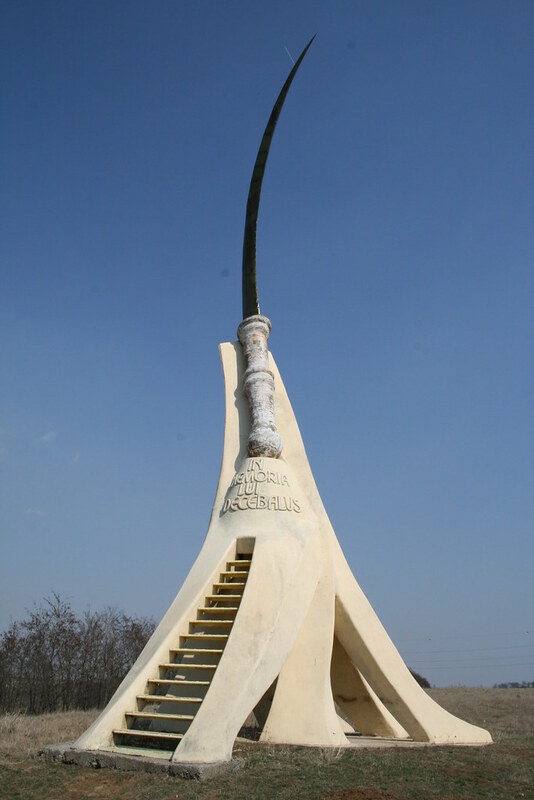 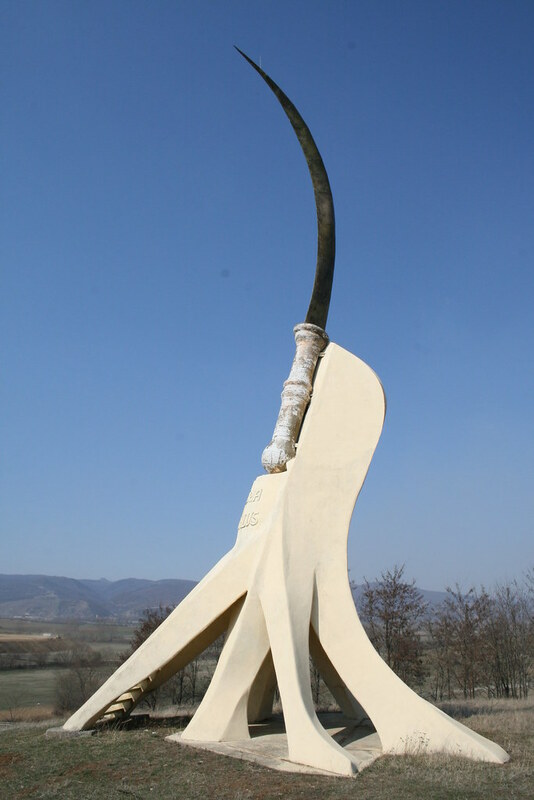 The gigantic falx, measuring 3.5 meters high, made ​​of bronze and brass, is placed on a pedestal of 2.5 meters of concrete reinforced with iron, that has a sign saying the monument is dedicated to the memory of "Decebalus".